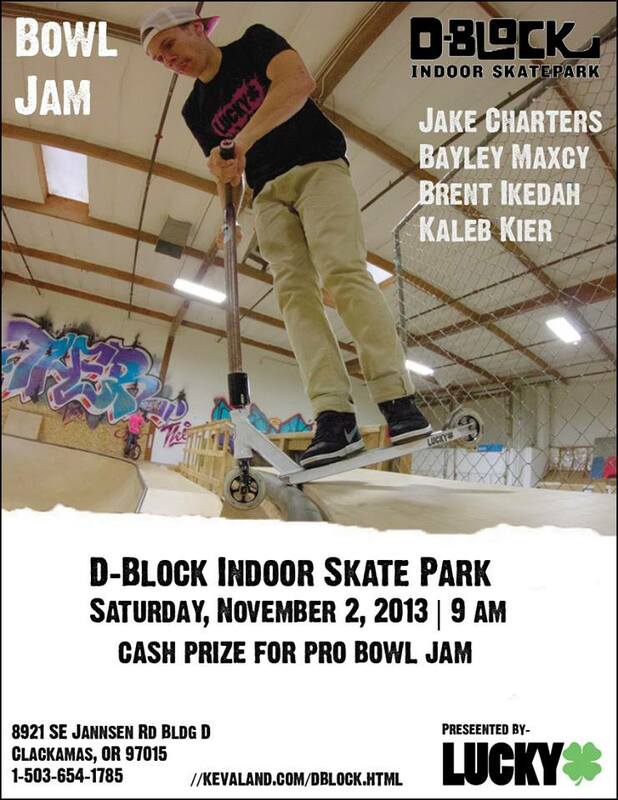 Word on the street is there is going to be a rad, little bowl Jam at D-Block indoor skatepark in Clackamas, Oregon on November 2nd. It's the perfect way to escape this cold October weather. On top of that, Lucky riders Jake Charters, Bayley Maxcy, Brent Ikedah and Kaleb Kier will all be there to compete and hang out. If I were you, I would make a point to get out there if you're going to be in the area. There's cash prizes!